Of the Tory privatisations visited upon the UK in recent decades, few arouse such intensity of feelings as that of the railways. A much-loved public institution now dogged by a reputation for exploitative and above-inflation price increases paired with poor service, commitments to renationalise the network offered an early emblem of what a Labour Party led by Jeremy Corbyn was to stand for. With Brexit triggered for March 2019, and enthusiasts on the left keen to point out the threat posed by the EU to the proposition of UK public ownership, how much do EU rules impact on the widely popular idea of a railway taken back from private hands? Julian Sayarer: Does the Labour Party need Brexit in order to deliver on its popular policy of rail renationalisation? 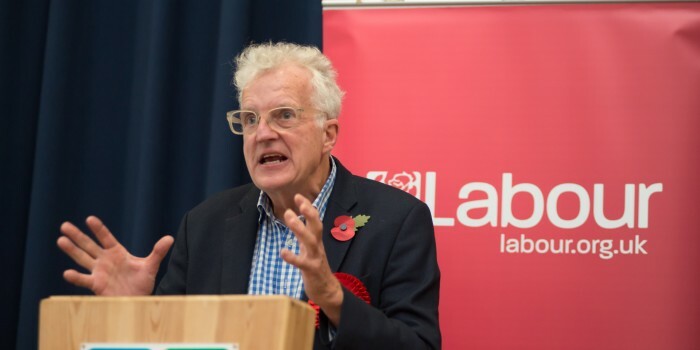 Christian Wolmar: No it doesn’t. There is some controversy surrounding this matter but under EU law it is still possible to run a nationalised railway, as of course many EU countries already choose to. The key point of confusion – found within the UK Railways Act (1993) which brought about privatisation – is that the legislation specifically says that government agencies cannot bid for franchises. This stipulation has nothing to do with the EU and even this is a supplementary issue – the whole point of nationalisation would not be to have franchises but to bring the railways entirely in-house. There would be nothing stopping the Labour government doing so. JS: So we simply need to amend UK legislation? CW: The Railways Act does not even need amendment – the Act prevents government bids for franchises but does not actually mean that, if you refrain from franchising altogether, you cannot open the process to government. This is effectively what happened with East coast mainline when it was placed under government control. The other key point is whether you unify the railway franchises or the track itself – EU legislation says you need separate accounts and to allow the possibility for open access, but it doesn’t prevent the government owning both operations. JS: Are there examples of state-owned railways operating successfully inside the EU? CW: The ultimate model, which is within Europe but not the EU, might well be the Swiss one – this is run under a banner of Swiss rail but in reality is owned and under the authority of individual cantons. This is a very successful, government-owned model. In reality, most European railways, including within the EU, are government-owned and so the question depends rather more on how one judges ‘success’. This question itself harkens to an idea of inefficient government ownership, and while this has been true in eastern European state rail operations, there is no reason to believe that the UK situation would be akin to that. JS: Could nationalised rail fall foul of EU state aid rules? What are the concerns here? CW: Other countries get around that. Germany navigates it by essentially putting services out to bid, the regional governments bid, and then it is reasoned that this is not a subsidy because the arrangement rests on the principle of a payment for a service. Certainly none of the major European railways make a profit in strict profit/loss terms, but this issue is managed within the limits of EU law. Member states are, moreover, allowed to fund socially useful services within EU state aid provisions and this would be the argument for railways. JS: Does the UK model of private franchises throw up different challenges to nationalisation compared to elsewhere in the EU? CW: The franchise model means we have a much more fragmented railway to start with, and one that is more costly as a result of that fragmentation. The whole policy of renationalisation would be to defragment it – a broken-up and privatised railway is simply not an effective way to run rail travel. It might not necessarily become one big railway, but certainly there would be some consolidation into a handful of large networks. JS: Is it possible to have both national rail and forces of competition within the EU model? CW: It is possible to have management contracts instead of franchises, but the problem with that model is that risk falls to the state, not the private contract. This is already the model on which the London Overground is run, and with this, companies just run the line for a set fee, rather than having a risk-based model. Certainly a lot of work on the railway network will always be done by private contractors but the key issue is who has overall control. JS: Why are those in favour of public railways concerned about the EU’s Fourth Railway Package? CW: The 4th railway package is an attempt to liberalise transport markets and open them up to more competition. However, as with previous packages, there is no mandatory requirement to privatise services, but rather an expectation that transport services will be opened up for tender. The UK in fact has led the way in terms of competition by opening up all its rail services – and all bus services outside London – to private operators. In rail this has been done through franchising out groups of service with competition largely restricted, while the bus model outside London has gone a step further by allowing any new entrants to the market, provided they meet certain basic standards. The 4th package also encourages – though does not mandate after an intervention by Angela Merkel – the full separation of rail infrastructure from services. Therefore, in many respects the 4th railway package is in effect catching up with what is happening in the UK anyway. The key point is that it does not make privatisation mandatory and does nothing to prevent the renationalisation of UK rail. It is, in fact, UK legislation which prevents public bodies from bidding for rail franchises (except, of course, for foreign, state-owned organisations). JS: What strategy would advocates for nationalised UK rail be best-placed to pursue, particularly in terms of the EU and Brexit? CW: Those wishing to bring about a nationalised UK rail network ought to allow the contracts to run out and then take them over. I don’t believe this would create an immediate step-change improvement in the rails, or reduction in fares. This is a slow process but unifying the rails would help remove bureaucracy and the regulation of numerous companies, while also creating immediate savings as a result of not paying the profit of private companies. While unifying the rails would be a cheaper and better way to run a rail system, not all railways should be placed into this basket and there are many different models to borrow ideas from. Furthermore, there are many transport issues that are perhaps higher priority anyway; city congestion, road charging, improving bus services, a franchise system for buses, the list of areas for attention goes on. In cities, trams always bring with them dramatic economic improvements, while more cycling provisions can improve local transport options greatly and creates positive health outcomes that alleviate the strain on the NHS. Brexit is not at all a crucial aspect within the change of UK rail – there might be marginal effects but it is not significant. A look at the relevant legislation quickly reveals this, and rail renationalisation should not be used as an excuse for advocating that we leave the EU.